The 'grid' plant list display let's the pictures tell the story. 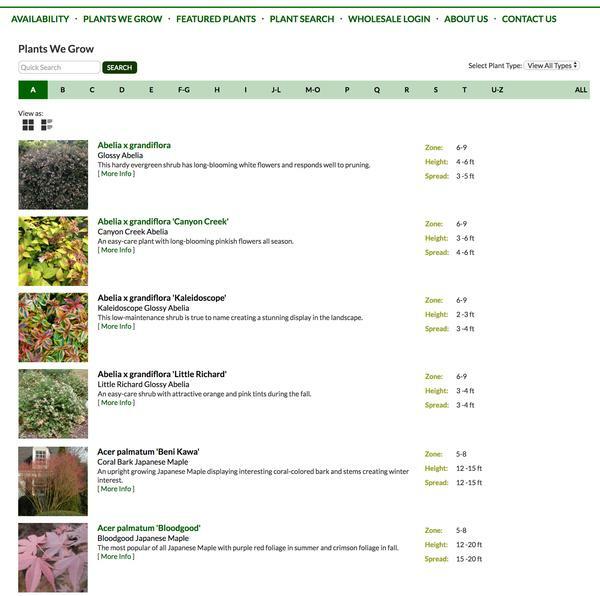 The Greenleaf Nursery plant detail page has been modified to show availability and current crop images for their 4 growing locations. This customizable Plant Editor has been developed to support all plant types. 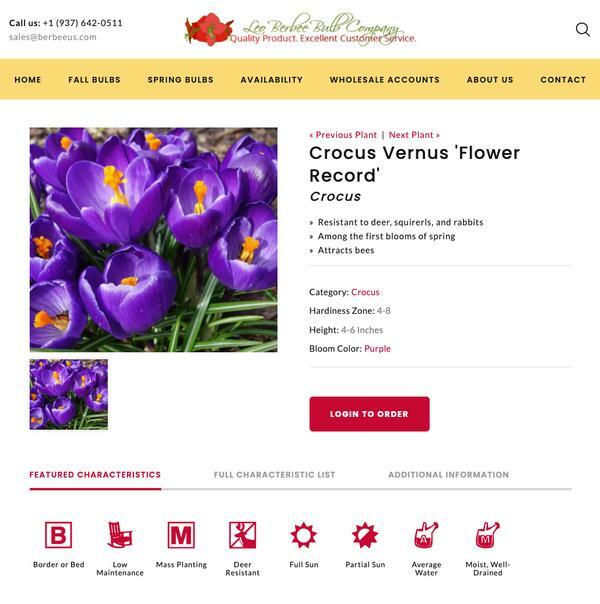 You can easily add e-commerce capabilities to sell plants online. You can also indicate if the item is "e-commerce enabled." This is helpful if you want to display all items online, but limit certain products to "off line" or retail purchasing. This function is reserved for use with e-commerce implementations. 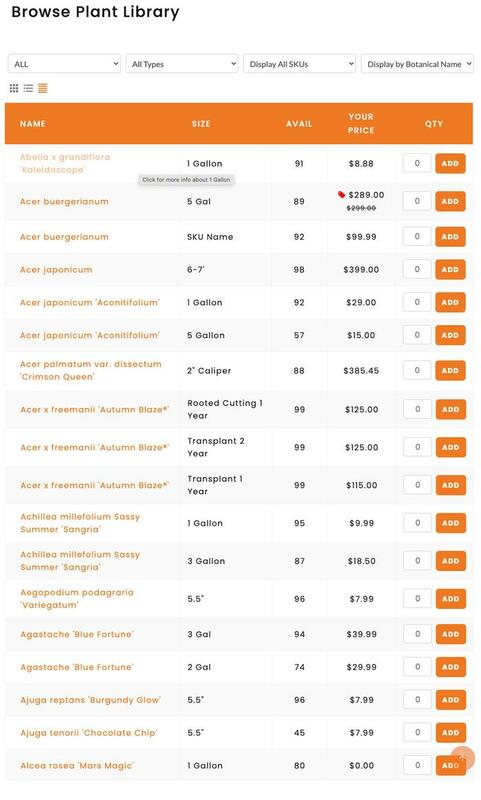 Additional options include the Plant Tag and Bench Card "tabs" in the plant database. With these content areas you can add images and text to be used to produce plant tags and bench cards. This gives you one place to maintain your plant information. Tag Production The tag data can then be exported to a tag producer such as MasterTag to create your order. This streamlines the process and allows you to control the content on your tags. Bench Cards With the Bench Card tab, you can create custom signs to help sell your plants. These signs can be printed in your facility or you can place an order through your website and have the signs shipped to you.